Ladakh, the land of high passes or the land of Lamas or the land of culture, need no description! Ladakh calls everyone – some for its landscape (barren and yet so incredibly mesmerizing), some for its wildlife, some for its culture, some for its history, some for the purest form of Tibetan Buddhism and spirituality, and some for the sheer thrill it offers all year round. We are calling out to all the adventure junkies to join us a Winter Expedition of Ladakh where we traverse through the winding roads of Ladakh surrounded by nothing but a white layer of snow. 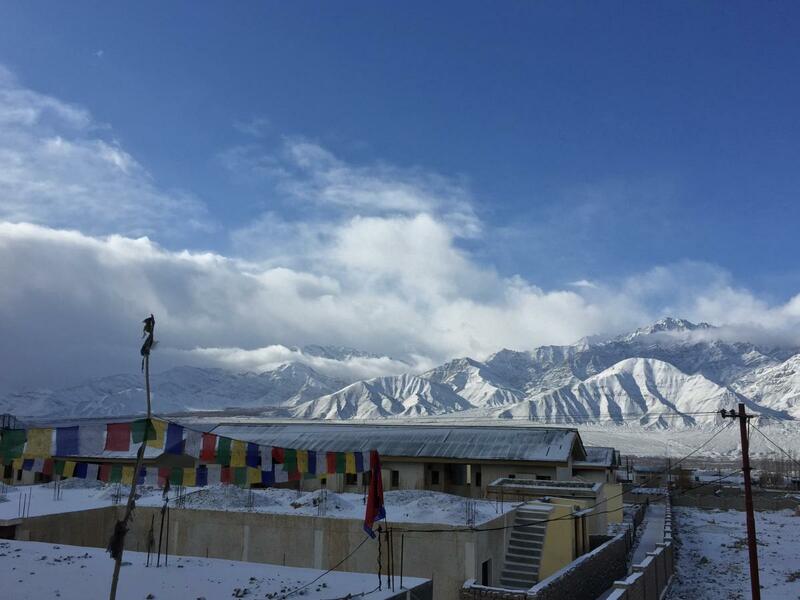 Let's travel to learn how the locals of Ladakh live in the extreme weather? We got your back to protect you from the cold and give you a unique experience of Ladakh like never before? Phayang Village : Located hardly 30 minutes from Leh, Phayang offers some breathtaking sceneries. In summer, the forest outside the village gets lush green and becomes a paradise for photography. 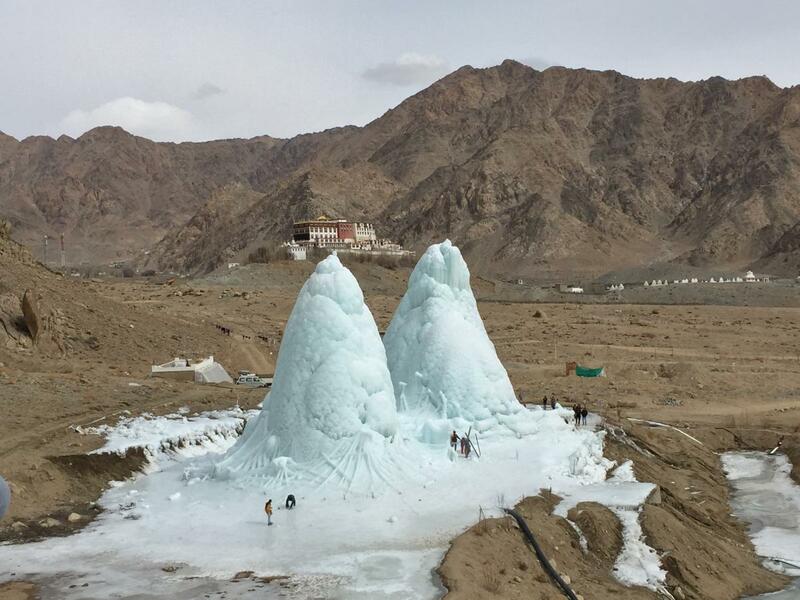 It is also the site of Ladakh’s famous Ice Stupas in winter. Also, the farmstay here is not to be missed. Likir Monastery : is picturesquely situated on a little hill in the valley. Likir is mentioned in the Ladakhi chronicles as having been erected by King Lhachen Gyalpo. The name Likir means “The Naga Encircled”, representing the bodies of the two great serpent spirits, the Naga-rajas, Nanda and Taksako. Lamayuru Monastery : is one of the oldest and largest gompas in Ladakh. According to the popular tradition, it was originally the foremost Bon monastery in Ladakh. Its name means Sauwastika and is a popular symbol in Bon for “eternity”. Saspol Caves, medieval Buddhist caves with paintings : are the amazing rock-cut temples. The caves are richly adorned with paintings, representing a fusion of Indian and Tibetan Buddhist art, of Buddhist pantheon from the 13th – 15th century AD. Hemis Shukpachan Village : is a pristine village situated in the beautiful Sham valley. The village is known for its apricot orchards and holy Juniper trees. In fact it derives its name from Juniper tree, which is called Shukpa in local language. The village sits on a very ancient trade and travelling route between Kashmir and Ladakh. It is believed the first Buddhist missionaries to Ladakh from Kashmir travelled through this region. 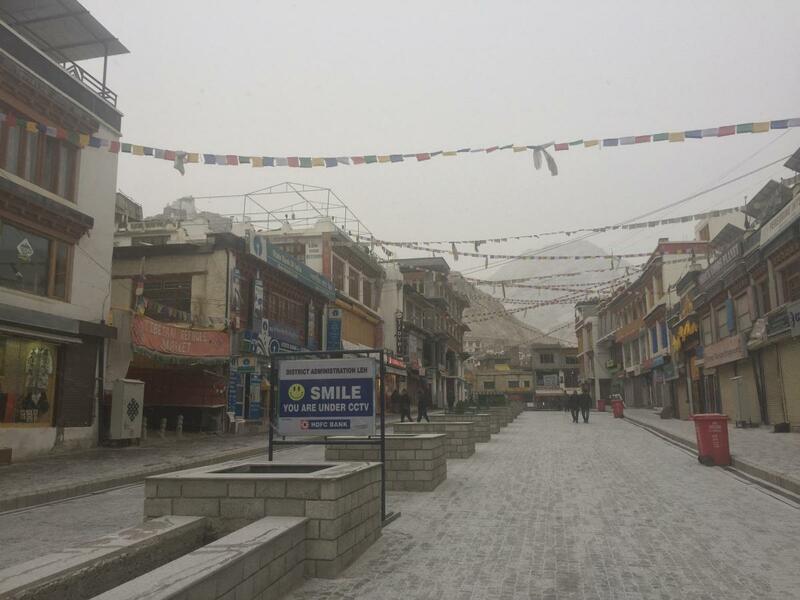 was founded in 1988 by a group of Ladakhi college students lead by Sonam Wangchuk. SECMOL campus is now and eco-village where students, staff and volunteers live, work and learn together. It’s not a conventional school, but a place to pursue practical, environmental, social and traditional knowledge, values and skills. 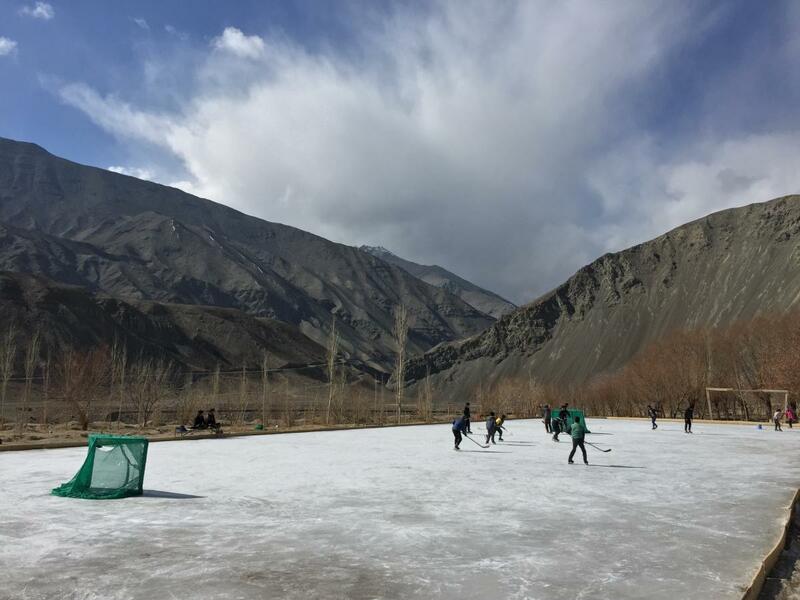 The Campus is solar powered and solar heated; students learn ancient Ladakhi songs, dance and history alongside modern academic knowledge; and the students mainly manage, run and maintain the campus. Khardung La : need no introduction. Mostly renowned as the world’s highest motorable road at an altitude of 5602m. However, the claim is disputed and it is believed that actual altitude of the pass is 5359m. It is also historically important as it lies on the major trade route from Leh to Kashgar in Central Asia. About 10,000 horses and camels used to take the route every year. Hunder, Nubra Valley : is a remote village that sits like an oasis in the middle of cold desert in Nubra valley, known for its sand dunes, Bactrian camels and breathtaking landscapes. The high altitude desert, with rolling expanse of sand dunes and barren landscape is the USP of Hunder village. Turtuk, Nubra Valley : Turtuk is a small village located on the banks of Shyok river. The village is located right at the border with PoK and is the last outpost of India. It is one of the few places in India where one can witness Balti culture. Turuk was opened to tourists in 2009 only. Pangong Lake : needs no introduction to anyone. Glistening at an altitude of 4,350m, it is 134 Kms long and 5 Km wide at it’s broadest point. It is a saline water lake which appears to change colors with the changing sun. Hemis Monastery : not only is one of the most significant Tibetan monastery in Ladakh. It also has some relation to the unknown years of Jesus, often referred as “lost years of Jesus”. According to one theory, it is believed during those 16 years, from the age of 13 to 29, Jesus studied Buddhism here. In 1894, one Russian journalist even claimed that there are written proof to back this fact. Let’s find out? Padmasambhava Cave Gompa : Located in Sakti village, this is a cave gompa whose roof as well as walls are made up of rock. It is believed that Guru Rinpoche (Padmasambhava), master of Tantra and Tantric Buddhism, meditated here in 8th century.